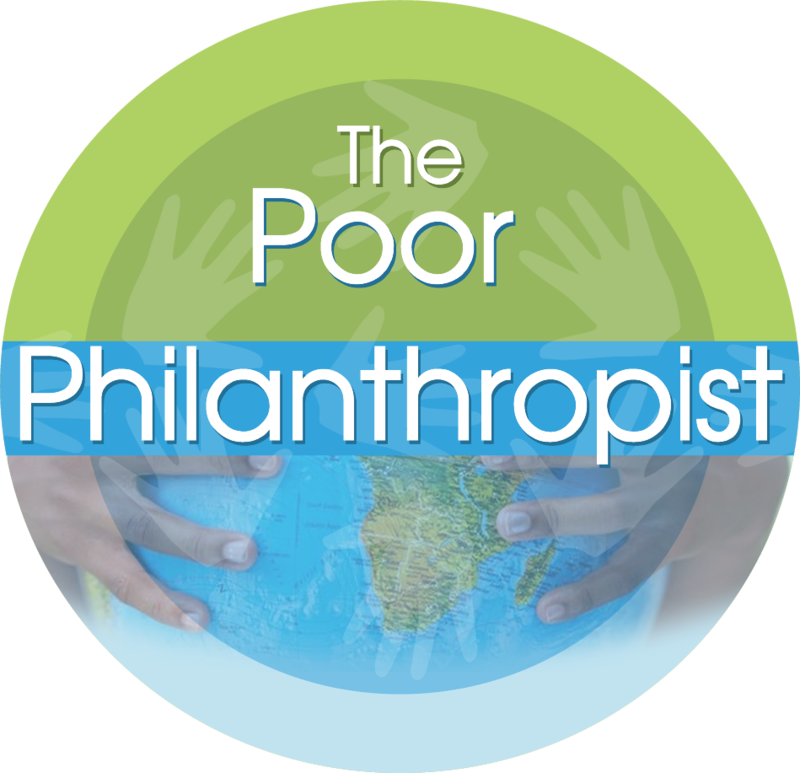 When we think of philanthropy, we think of wealthy individuals, organizations – and even governments – giving from their abundance to those in need, the less fortunate. This very necessary giving is philanthropy at an institutional level, even when the givers are individuals. Money is apportioned through carefully constructed channels, and the use of funds is often managed in a top-down manner. It is this institutional philanthropy that we read about in the news, hear about on TV, and follow on social media. These philanthropists are the readers – and writers – of books on the subject of giving, and their experiences shape the majority of global thinking on the subject of giving. For many people the word philanthropy conjures up the idea of a wealthy person, group of people or country giving to those who are poor. Put another way, resources flow from the “haves” to the “have nots”. In short, we believe that to give or be a donor, one must be rich. Resources do not only flow from the rich to the poor but among and between the poor as well. This means that the poor are also donors. Giving is not the preserve of the wealthy. horizontally (from poor to poor). Vertical philanthropy is exemplified in the international aid system, while horizontal philanthropy is akin to self help and mutual assistance. Vertical philanthropy as “philanthropy for community (PfC)” – such that resources are mobilised by one community for another. 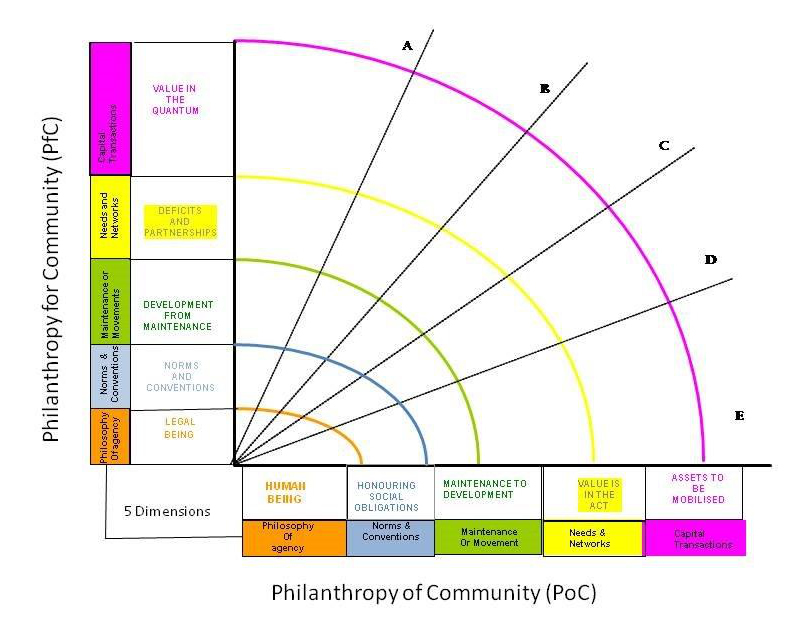 Horizontal philanthropy as “philanthropy of community (PoC)” – such that resources are mobilised from within a community for their own use. To be clear, vertical philanthropy (or PfC) is about the external mobilisation of resources to assist a community (or nation), while in the case of horizontal philanthropy (or PoC), there is the internal mobilisation of resources. It is actually possible to compare the vertical and horizontal by thinking about how international aid actors typically behave – that is, how they prefer to work – and how people in poor communities are prone to get what they have to where it is needed most. This juxtaposition is illustrated in the table below. Needs and Networks Premised on (material) deficits and needs to be satisfied. Premised on capabilities and assets that are already deployed to survive. Range of Capitals Premised on value in quantum measures of inputs, outputs and outcomes. Relational value lies in efficacy of resource utilization. Premised on capital lying in the social transaction of intangible and tangible resources. Relational value lies in rooted processes. Maintaining or Moving Forward Premised on people escaping poverty as a ‘threshold’ condition. Premised on resilience to cope with poverty as a dynamic condition. Norms and Conventions Premised on agreements negotiated against ‘standard’ external norms and compliance enforced by recourse to law and third parties. Premised on socio-historical context of values, rules and conventions beholden to collective sanction. Philosophy of Communalism Primacy of recognition of a legal being with uniform rights and obligations. Primacy of recognition as a human being, as belonging to a collective with identity and dignity. These differences in behaviour can actually be placed on a spectrum that goes from the “vertical to the horizontal” as shown in the following figure. To find out more about this depiction of a “philanthropic arc” refer to the Poor Philanthropist II.